Mr. Goff has 4 years of experience with environmental consulting and conducting environmental subsurface investigations on projects regulated by state programs, mainly involving chlorinated solvent impacts. His specialties include vapor intrusion and risk communication for project tasks such as site investigation at drycleaner facilities in Indiana and Wisconsin; geologic and hydrogeologic data collection; data analysis and interpretation; extensive site investigation and delineation studies using traditional methodology; correspondence with clients and regulators; investigation of multiple contaminants including petroleum, solvents, heavy metals, PCBs, and acids/caustics. 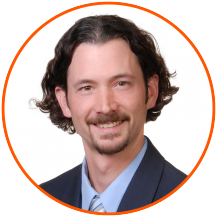 As a full service environmental consultant and scientist, Mr. Goff works hard to provide aggressive and innovative solutions to each project while maintaining strong communication with the client, state regulators and others involved in the project.